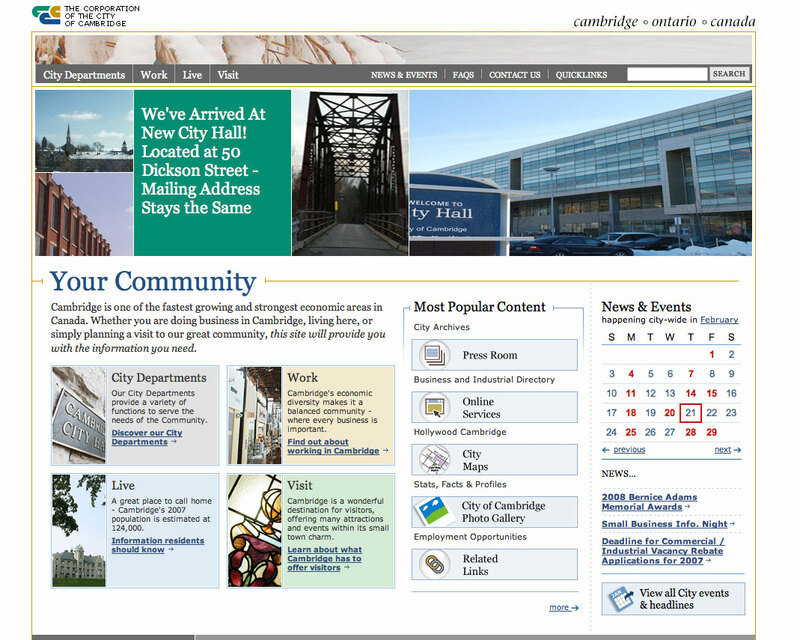 The City of Cambridge, Ontario needed a new website, but also needed to keep the thousands of documents and web pages already present on the city’s website. In addition, the website would have to meet strict accessibility requirements due to upcoming Federal regulations. 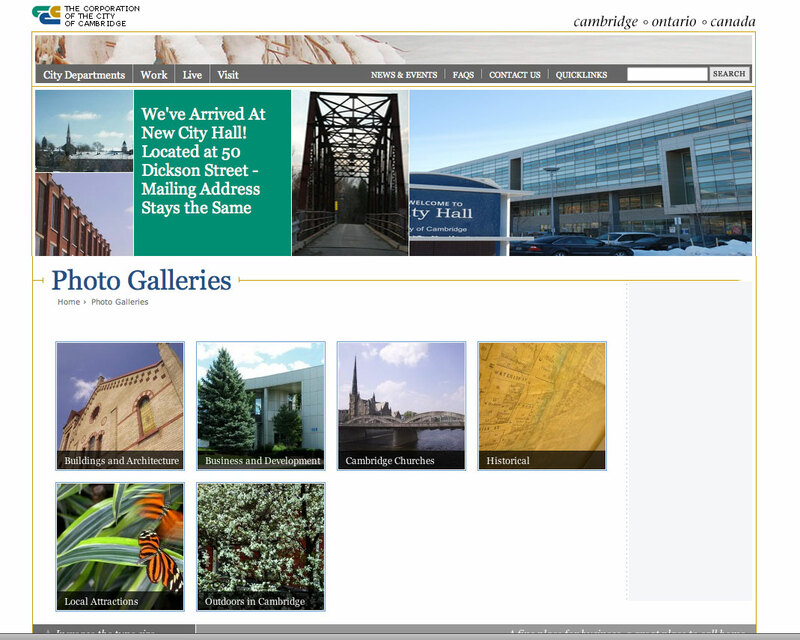 The website is built to work for those users still using 800×600 resolution monitors as well as those with wider screens. 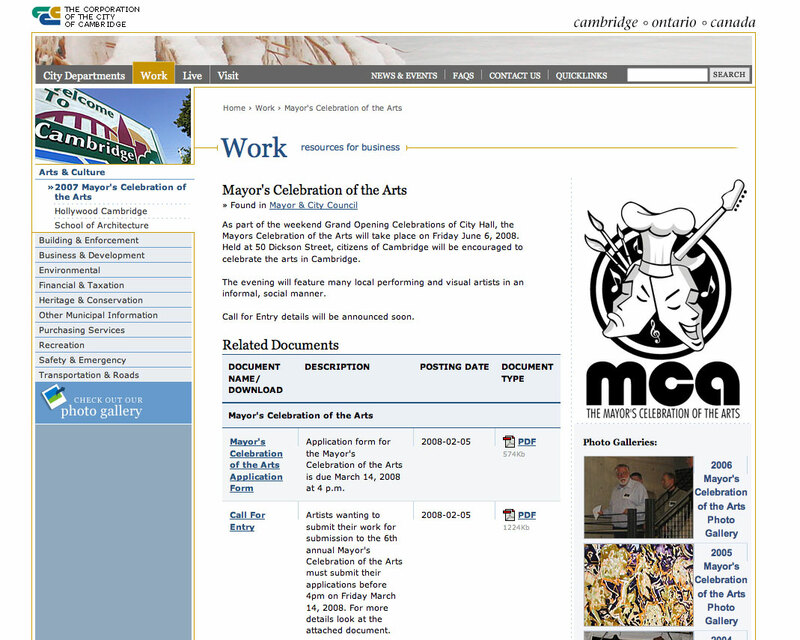 The width will fluidly shift between an 800×600 version and a1024×768 width, but maintain readable line-lengths for text-heavy pages.